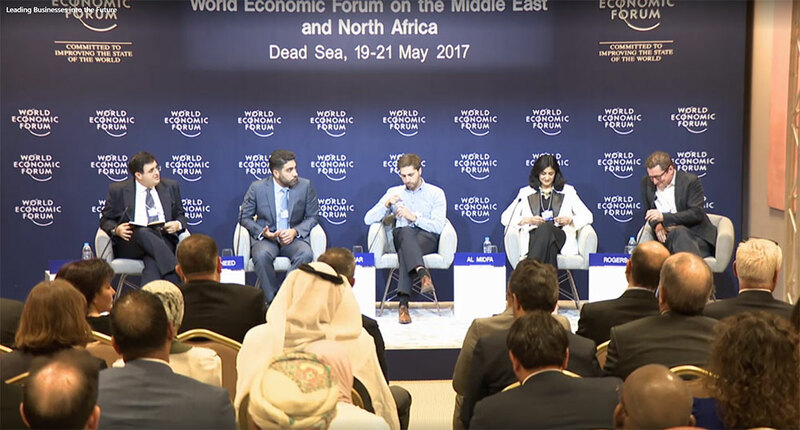 Harvard Business Review Arabia participated in the World Economic Forum on the Middle East and North Africa, which took place at the Dead Sea, Jordan, between 19-21 May, 2017. 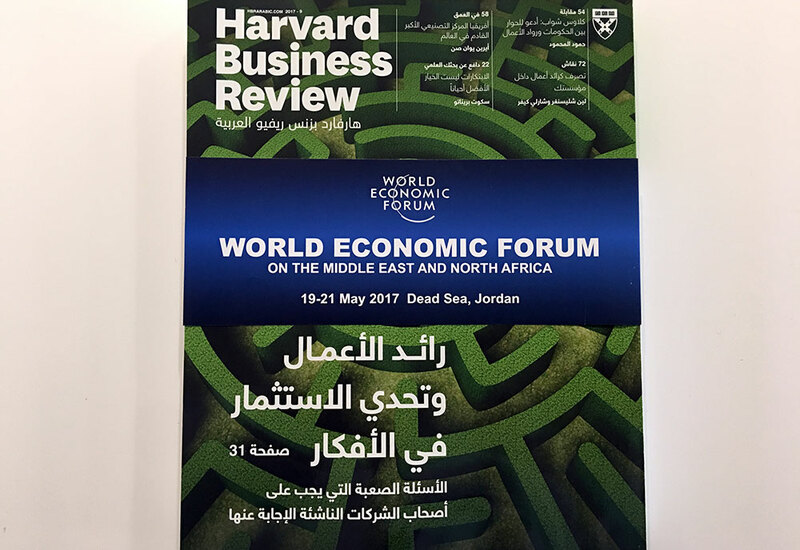 A special issue of HBR Arabia was distributed within the conference, and was available to all attendees through the WEF TopLink app. The special issue focused on entrepreneurs and the challenges they face, and it included an interview with Klaus Schwab, Founder and Executive Chairman of the World Economic Forum. Haykal Media’s Chairman, chaired a panel co-organised by HBR Arabia, titled: “Leading Businesses into the Future”. The panel included Fahd Al-Rasheed, Group Chief Executive Officer and Managing Director, Emaar, The Economic City; Eyad Alkassar, Chief Executive Officer, Rocket Internet ME; Najla Al Midfa, General Manager, Sheraa (Sharjah Entrepreneurship Center); and Paul Rogers, Managing Director, Middle East and Turkey, Bain & Company Middle East Inc.